The Whiskey Mattimoe Mysteries: Whiskey on the Rocks: Now Available in German! 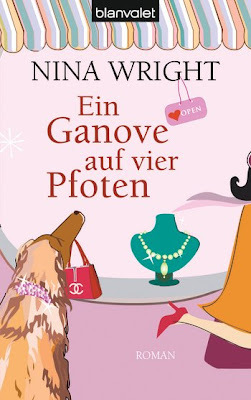 Random House Germany is publishing Whiskey on the Rocks as Ein Ganove auf vier Pfoten (translation: A Thief on Four Feet). You can pre-order it on Amazon now. Thank you so much for your kind comment, Bianca--and for reading my books! Take care. The second book is also available here and it's as lovely as the first one. Really hope that the other books will be published here soon! Thanks for entertaining me so funnily and exciting!!! Many thanks for your enthusiasm! I really appreciate your taking the time to post. Blessings!